Nasze drugie życie, Przewodnik po fascynującym świecie snu. OOBE - Wasze pytania moje odpowiedzi cz1. Cytat: “Nasz Dom” to nazwa kolonii – miasta w świecie Duchów, które Andre Luiz przedstawia w pierwszej książce swojego autorstwa. Stosując wartką narrację, autor opowiada nam o swoich wrażeniach i odkryciach związanych z życiem w duchowym świecie, zachowując się jak dziennikarz, który rejestruje swoje własne doświadczenia. Andre Luiz odkrywa przed nami ekscytujący świat, pełen życia i aktywności, wzorowo zorganizowany. Jest to miejsce, w którym duchy przechodzą przez etap odpoczynku i uzdrowienia oraz poddawane są procesowi edukacji, który jest nadzorowany przez duchy wyższe. „Nasz dom” pozwala nam uzyskać wgląd w świat duchowy, który czekać będzie na nas po tym, jak opuścimy nasze fizyczne ciała. 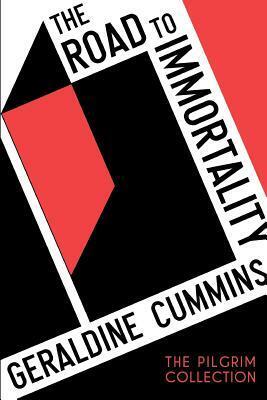 Geraldine Cummins "The Road to Immortality"
Cytat: The Road to Immortality provides the reader with a sublime vision of the afterlife, allegedly communicated from 'other side' by the eminent psychologist and psychic researcher Frederic William Henry Myers. Myers was one of the founders of the Society of Psychical Research and he spent much of his life researching the survival of consciousness, so it is not surprising that having passed away in 1901, if he found himself conscious of his surroundings, he would try to communicate with his colleagues and loved ones still in the flesh. According to a renowned automatic writing medium Geraldine Cummins, this happened in the 1920's. Communicating through Cummins, Myers stated: "We communicate an impression through the inner mind of the medium. It receives the impression in a curious way. It has to contribute to the body of the message; we furnish the spirit of it. In other words, we send the thoughts and the words usually in which they must be framed, but the actual letters or spelling of the words is drawn from the medium's memory. Sometimes we only send the thoughts and the medium's unconscious mind clothes them in words." Discarnate messengers such as Silver Birch have spoken about the group-soul and Myers went into great detail about the subject. "When I was on earth, I belonged to a group-soul, but its branches and the spirit - which might be compared to the roots - were in the invisible," "Now, if you would understand psychic evolution, this group-soul must be studied and understood. For instance, it explains many of the difficulties that people will assure you can be removed only by the doctrine of reincarnation. You may think my statement frivolous, but the fact that we do appear on earth to be paying for the sins of another life is, in a certain sense, true. It is our life and yet not our life. In other words, a soul belonging to the group of which I am a part lived that previous life which built up for me the framework of my earthly life, lived it before I had passed through the gates of birth." Myers further explained that the group soul might contain twenty souls, a hundred, or a thousand. "The number varies," he said. "It is different for each man. But what the Buddhist would call the karma I had brought with me from a previous life is, very frequently, not that of my life, but of the life of a soul that preceded me by many years on earth and left for me the pattern which made my life. I, too, wove a pattern for another of my group during my earthly career. Myers added that the Buddhist's idea of rebirth, of man's continual return to earth, is but a half-truth. "And often half a truth is more inaccurate than an entire misstatement. I shall not live again on earth, but a new soul, one who will join our group, will shortly enter into the pattern or karma I have woven for him on earth." Myers likened the soul to a spectator caught within the spell of some drama outside of its actual life, perceiving all the consequences of acts, moods, and thoughts of a kindred soul. He further pointed out that there are an infinite variety of conditions in the invisible world and that he made no claim to being infallible. He called it a "general rule" based on what he had learned and experienced on the Other Side.